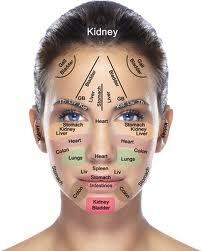 An Acupuncture Facial, Give Your Skin A Lift! Facial Rejuvenation Acupuncture tightens pores, improves muscle tone and dermal contraction, while enhancing and increasing the elasticity of the skin. It can reduce the signs of aging by strengthening and stimulating the circulation of "Qi" within the meridians, especially those of the face. You will look and feel more energetic, calm, vibrant and healthy! As we get older it becomes more difficult for Qi to flow upwards to "lift" the face. We also produce less Collagen and Elastin. This leads to decreased muscle tone, wrinkles, and sagging skin. A variety of factors can contribute to this- diet, digestion and circulation, or emotional and environmental stresses, all of which are addressed during an Acupuncture Facial Session. 10-12 sessions are recommended for a facial series, for improved complexion and vitality, with results that last for a about a year. Each session includes an Herbal and Dietary Consultation.